Bentley Continental Tuning and styling options are now available for the Bentley Continental from VIP Design London The Bentley Continental is one of the world’s finest vehicles, already iconic in its own right, but the VIP Design package will lift it into a league of its own. The Bentley Continental package is a combination of breath taking tuning and subtle styling, giving you the ultimate in luxury, design and performance. Under the bonnet, the Bentley custom ECU remap will really boost its power and performance, adding an extra 100bhp. Complementing the custom ECU remap, Bentley high-flow air filters enable greater airflow into the engine, which improves combustion and ignition, and delivers more power whilst improving throttle response. While the Bentley Continental is not sluggish before remapping, the increase in power and torque afterwards is dramatic – it really does have to be driven to be believed. In addition to the upgrades under the bonnet, the Bentley exhaust system further enhances the power and performance. The fully programmable and controllable valve system fitted to VIP Design’s Bentley exhaust allows the driver to choose exactly how loud he would like the exhaust tone to be at any given time, or choose from one of three pre-set base levels (quiet, medium or loud). VIP Design can also offer a choice of styling options to make your Bentley Continental unique. 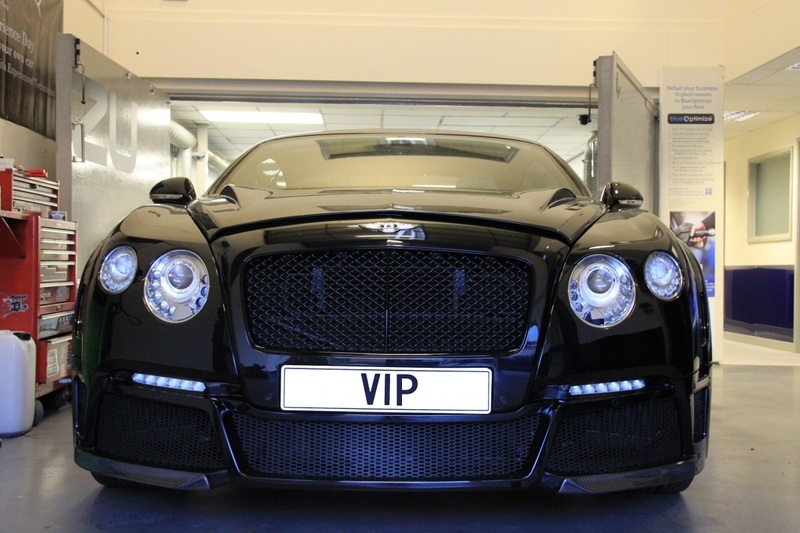 Carbon fibre bonnets, side-skirts, spoilers and splitters are all available and VIP Design will manage your project to ensure you get exactly what you want. Completing the look, a large range of hand-cast and finished alloy wheels are available. 24 designs, 28 colours – let this understated styling perfectly match your personality. VIP Design tuning and styling packages for the Bentley Continental are available to buy online for delivery, or to be fitted at our UK headquarters in Warwickshire. For more information about tuning and styling options for your Bentley, please contact enquiries@vip-design.london or call +44 (0)1789 774444. Our professional team of experts will work with you to ensure you get exactly what you want from tuning and styling your Bentley Continental.